A “Gift of Life Insurance” is made when you name The Ontario Genealogical Society as the beneficiary of the insurance policy. 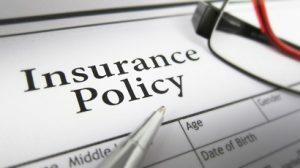 This means that you control the policy, and that we will only receive the insurance proceeds following your death. There are a number of life insurance options available and each will have different types of tax benefits. Talk to your accountant, lawyer, financial adviser or insurance professional who can help you decide which option may work best for you. How to make a Gift of Life Insurance? Name The Ontario Genealogical Society as a revocable beneficiary on a new or existing policy.